This month's question is answered by the Meshi School's guidance counselor Ayala Tauber. Q.. My 6-year-old son, who is wheelchair-bound, has become fixated with the subject of death ever since his grandfather died several months ago. Paradoxically, his grandfatherwas confined to a wheelchair during his final years, and I'm sure this has prompted my son to fear his own death. A. It’s natural for a 6-year-old to become frightened when he experiencesthe death of someone close, but in your son’s case, the fearmay be compounded by the connection he’s made between his grandfather and himself. Since your son is not yet mature enough to comprehend the concept of death, he may conjure up his own explanations and anxieties that are even more painful than reality. Thus it’s essential for you to help your child face this subject. Remember: someone who doesn’t understand the meaning of death is fearful. And someone who does not understand it completely is even more terrified. As parents, we must answer any questions that are troubling the child—using simple language, on his own level. Phrases like, “Usually old people die, not young people,” may help, taking care to explain the difference between the reasons that he and Grandpa were in wheelchairs. It’s ironic that understanding what causes death to be universal and unavoidable is what enables a child to become calm. 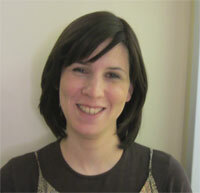 Ayala Tauber is an experienced special education teacher and guidance counselor. She joined the Meshi School staff five years ago. It's hard for me to keep my disabled child occupied all the time when he comes home from kindergarten. Is there any way he can play independently for even 15 minutes? Our seven-year-old disabled daughter finds it difficult to eat a meal with cutlery. She manages to eat a few bites of solid foods with a fork, yet tires quickly and prefers to eat with her hands. The result is slow and very messy. Should we let her eat independently with her fingers, feed her, or insist she eat with a fork? My disabled child is already two years old and does not yet talk. When should intervention take place? What kind of therapy is most effective? At age 5, my disabled son has just begun to walk. I'm debating the benefits of a walker or a power wheelchair to increase his mobility. At which stage should he start with each?